Raised in Albania, Sala relocated to Paris, and then moved to Berlin in 2003. In a relatively short time, he developed a vision that addresses the issues of a posthistorical world with a haunting simplicity that transcends cultures and borders. This book provides an overview and ... read full description below. Anri Sala's video Intervista (1998) begins with the artist moving house and finding an old 16 mm film in a box. On it he can see an interview with a young woman, whom he recognizes as his mother, being interviewed for state television in their native Albania. Without the sound reel the sense of the interview is lost, so Sala enlists lip-readers to restore the missing words. When he shows the subtitled film to his mother, she reacts to the words of her younger self with disbelief - could she really have spouted the empty rhetoric the ruling party? When the film cuts to a shot of her smiling beside the party leaders, the video shows her lifting a hand to her mouth in astonishment, or perhaps recognition. Raised in Albania, Sala relocated to Paris to attend the Ecole Nationale Superieure des Arts Decoratifs, and moved to Berlin in 2003. In a relatively short time, he has developed a vision that addresses the issues of a posthistorical world with a haunting simplicity that transcends cultures and borders. While his work's technical simplicity recalls straight documentary practices, its basic concerns - light and darkness, achrome and colour, sound and silence - weave into a poetic investigation of its own medium, whether video, photography or sound installation. 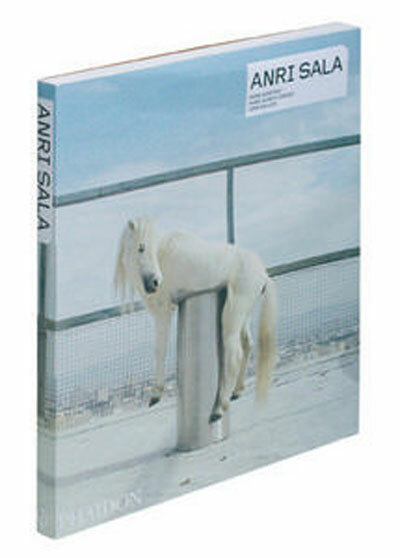 Sala has had solo exhibitions at museums around the world - including CCA Kitakyushu in Japan, De Appel in Amsterdam, the Art Institute of Chicago and the Musee d'Art Moderne de la Ville de Paris - and his work is regularly featured in major international exhibitions - including the 49th and 50th Venice Biennales (2001 and 2003), the 25th Sao Paulo Biennale (2002) and the 2nd Berlin Biennale (2002). Included in the book are an interview with the artist, a survey providing an overview and analysis of the artist's entire career, a focus that discusses a single important artwork in detail, a piece of writing chosen by the artist for its personal significance and a selection of the artist's own writings. Mark Godfrey is an art critic and curator who teaches at the Slade School of Fine Art, University College London. Hans Ulrich Obrist is Co-Director of Exhibitions and Programmes and Director of International Projects at the Serpentine Gallery, London. Liam Gillick is a New York-based artist whose work has received widespread acclaim, including a 2002 nomination for the Turner Prize.